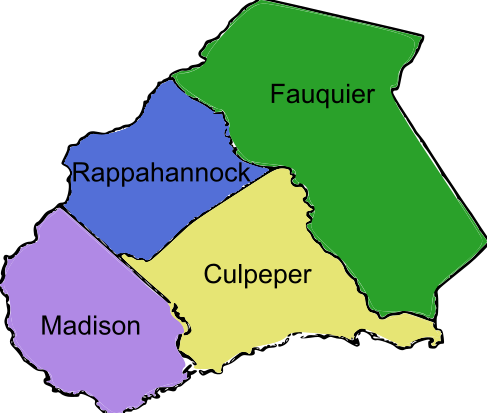 The Northern Piedmont Community Foundation (NPCF) began in December 2000 when nine concerned citizens from Virginia’s Piedmont region were searching for solutions to the charitable needs in Culpeper, Fauquier, Madison, and Rappahannock counties. With modest beginnings, our funds have grown to nearly $14 million in support of local charities, scholarships and community need in our northern piedmont region. We host the annual Give Local Piedmont campaign on the first Tuesday each May. This program connects our communities, increases awareness of our nonprofits and incentivizes giving. Our communities’ five-year total is over $3.8 million! A community foundation connects people with causes they care about – human needs, education, environment, arts or any other area of concern. Our Foundation is one of 30 community foundations throughout Virginia. Each organization manages gifts (funds) from all walks of life and uses them to benefit a specific geographic region. Because of generous donors, we can award grants to nonprofits, scholarships to students and in the process, strengthen the core of our communities. NPCF supports students through scholarships for both college and credential educational opportunities. Nonprofits in our region have various needs that NPCF supports through donor gifts and community grants. Replacing a roof on shelter, supporting a position that tracks ER overuse, preventing pediatric periodontal disease, creating options for families struggling with abuse, and reaching young and older populations through music therapy, are all causes that we have contributed to. The Foundation continues to fund innovative projects that meet the changing needs of our communities.